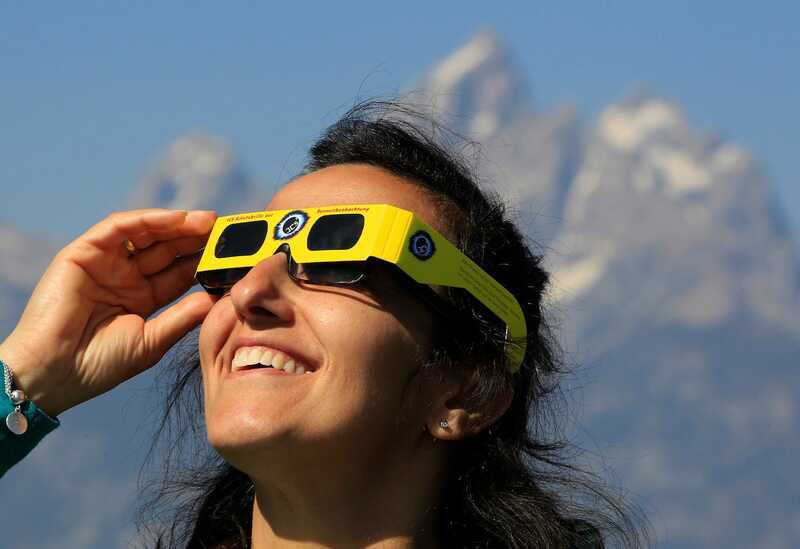 George Frey/Getty ImagesA woman watches a solar eclipse. Renewable energy is set to provide close 50% of the world’s energy by 2050, according to a report from Bloomberg New Energy Finance. Renewable energy is set to provide close 50% of the world’s energy by 2050, mostly because of falling battery costs. 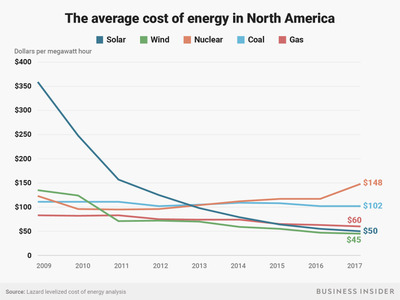 That’s according to a new report from Bloomberg New Energy Finance, which takes a long-term look at the world’s energy production. Coal is expected to be the biggest loser in the ongoing battle for energy dominance: Bloomberg NEF expects coal to provide only 11% of the world’s power needs by 2050, down from 38% today. Despite President Donald Trump’s pro-coal stance, close to 40% of US coal plants have already been either shut down or marked for closure, Bloomberg reports. 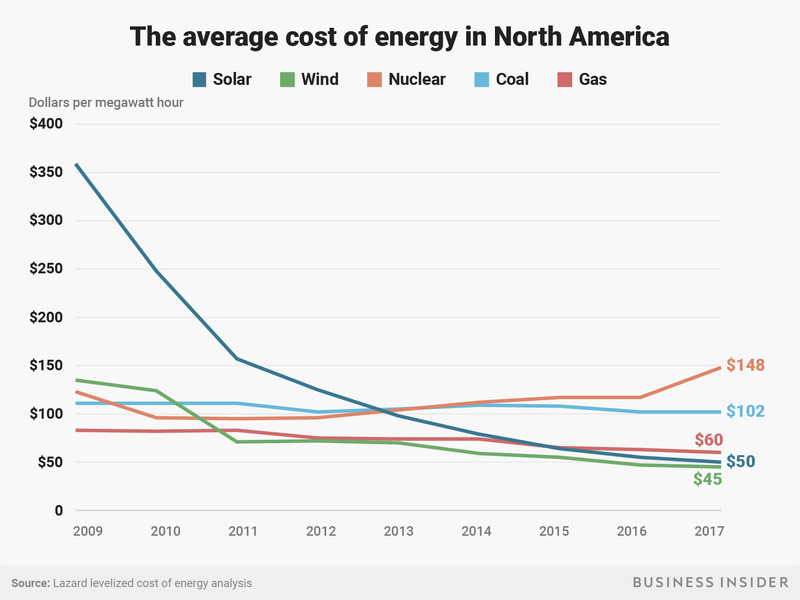 A recent report from the investment bank Lazard showed that the cost of producing one megawatt-hour of electricity – a standard way to measure electricity production – fell to around $US50 for solar power in 2017. The cost of producing one megawatt-hour of electricity from coal, by comparison, was $US102 – more than double the cost of solar, according to Lazard’s maths. In the first quarter of 2018, solar accounted for 55% of all US electricity added, according to a new report from the Solar Energy Industries Association. That’s more than any other type of electricity. The price of lithium-ion batteries – the standard battery used in electric vehicles – has fallen nearly 80% since 2010, according to Bloomberg NEF, and will continue to fall as more companies develop electric vehicles. Overall, Bloomberg NEF expects $US11.5 trillion will be invested in the renewable energy market between 2018 and 2050, with $US8.4 trillion of that going to wind and solar and a further $US1.5 trillion going to carbon-neutral power sources like nuclear and hydro.